The 20th edition of the Caxton Street Seafood and Wine Festival certainly seemed to be a huge success in Brisbane yesterday (June 8), with good weather and a large crowd on hand to imbibe food and beverages galore while taking in a series of performances from a terrific line-up of Australian and international bands and music artists. Despite the tight confines of the festival space and the considerable amount of alcohol consumed throughout day, crowd behaviour was generally good (other than a few tools who insisted on trying to flout the no smoking policy) and the positive vibe resulted in a thoroughly enjoyable festival experience. Eurogliders featured early on the Hale Street Stage with a set of songs that were instantly familiar for anybody old enough to remember the 80’s; churning out hits such as Maybe Only I Dream, We Will Together, City of Soul, Can’t Wait to See You and the chart topping Heaven (Must Be There). However, with Grace Knight and Bernie Lynch joined onstage by two other guitarists, the absence of a complete rhythm section resulted in a somewhat subdued rendering of songs that remained catchy but lacked energy. Having seen them perform on the grass alongside the rotunda in New Farm Park a couple of years ago, it is quite impressive to see how far Sheppard have come since that time and their set drew a huge crowd to the Hale Street Stage desperate to hear catchy radio singles Geronimo and Let Me Down Easy. The band didn’t disappoint, ripping through an energetic set that comprised a collection of quality songs that suggest plenty more success might be heading their way. Television quiz show team captain, radio host and former Killing Heidi front woman Ella Hooper brought her new solo material to Brisbane for the first time, unveiling an evocative collection of songs that were interspersed with conversational interludes that offered up snippets of insight into her motivations for the various tracks. One particularly smitten audience member had his persistent requests for Killing Heidi’s Weir politely but firmly denied, although the gregarious Hooper seemed particularly impressed by an invitation to dinner at Sizzler. 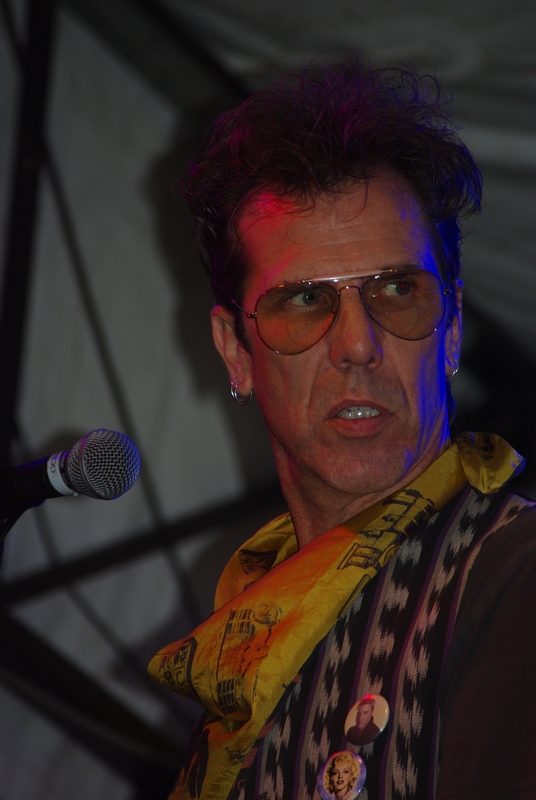 I think regardless of your taste in music, there is perhaps nobody cooler in the industry than Slim Jim Phantom. As a founding member of The Stray Cats and with over 25 years’ experience, millions of record sales and extensive touring with various bands, Phantom has cemented his place amongst rock royalty and his influence continues to be felt today. Phantom presents an effortless evocation of style and his traditional three-piece combo – guitar and upright bass supporting his work behind the drums – certainly had people on their feet. It was an absolute treat to watch the rockabilly legend on the Petrie Terrace Stage. Refusing to be overshadowed by the big names on the festival bill, Melbourne’s Shaun Kirk wowed the crowd with a 60-minute set that saw blisteringly good songs and musicianship interspersed with a witty repartee that had both men and women enraptured by his charm and musical talents. Kirk certainly lived up to his reputation as “one of the most explosive live acts this country has to offer” and no doubt left a lasting impression on festival punters. Andrew Stockdale’s Wolfmother was the perfect band to end the night, bringing the festival to a close with a rousing 70-minute set that mixed tracks from their new album New Crown with favourites such as Woman and The Joker and the Thief. Despite a reputation as a prickly personality, Stockdale was in great spirits throughout the show and, with strong support from new band mates Ian Peres and Vin Steele, he worked the crowd into a frenzy. Other performers I caught on the day included Dan England, acoustic songstress Jessica Sarah, who had the unenviable task of opening proceedings on the Petrie Terrace Stage, and The Fire, whose tongue-in-cheek cover of Britney Spears’ Hit Me Baby One More Time proved a crowd favourite. 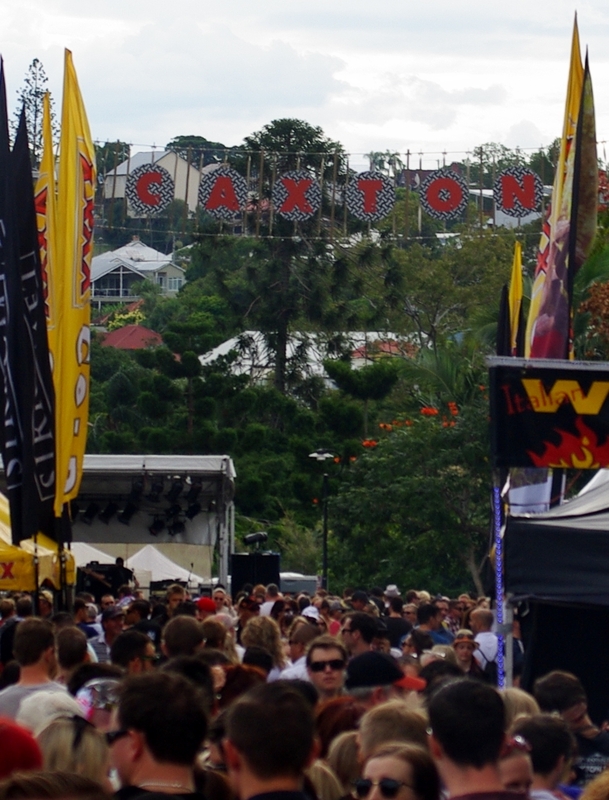 With the amount of food and beverage options on offer during the day, plus a high quality music program and other entertainments during the day, the 2014 Caxton Street Seafood and Wine Festival was a great day out. Selected images from the event are in the gallery, with more than 50 photos in Flickr.